Self esteem reflects the positive and negative emotional evaluation of our own worth. It links directly with self confidence and encompasses the way we think about ourselves, the value we place on ourselves, our attitude towards ourselves and our perceived ability. Both high and low self esteem have an impact on the quality of our lives because our self worth and perception of our abilities influences our motivation and affects the way we are and how we act in the world. Low self esteem is self destructive because we’re always evaluating ourselves negatively. 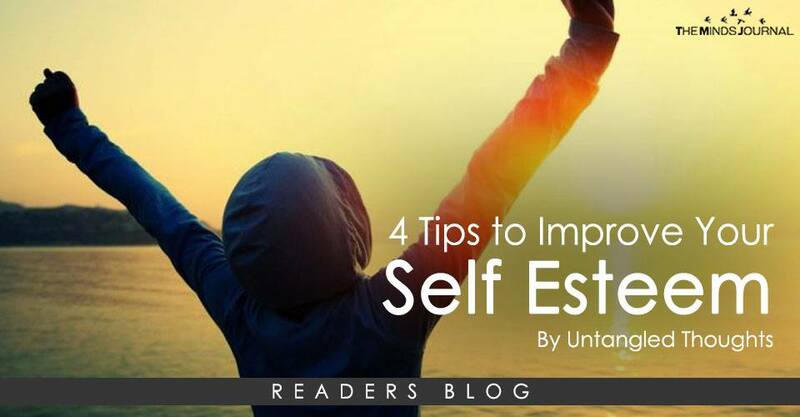 Here are 4 crucial tips to improving your self esteem. Remind yourself of all your strengths, make a note of them and refer to it often. Dr. Kashdan, Professor of Psychology and Senior Scientist at the Center for the Advancement of Well-Being at George Mason University, says “by coming up with an exciting word to describe your strengths, you avoid all the typical connotations. Once you can put a word to your strengths, it becomes much more embedded in your everyday life”. As superficial as this may sound to some, when you look good, you feel good and it’s worth it! Your insecurities regarding your appearance have a significant influence on your self confidence. “Looking good leads to feeling good, feeling good leads to empowerment.” When you put your best face forward, it gives you the opportunity to really accelerate in life. Feeling good commands respect. And that’s really empowering. Volunteer to help people. Not only does it makes you feel good about yourself but you’re also contributing to society. When you are helping others in need, the mesolimbic system, the portion of the brain responsible for feelings of reward and happiness, becomes activated. This releases feel-good neurotransmitters and hormones. The fear that some people have is that if they spend time helping others they will feel guilty about their own lives, but this is a myth. Helping others has a profound effect on your brain chemistry, promotes joy and realigns you with a sense of purpose, even in the face of pain. Contributing to the greater good can build self-esteem and create a positive relationship with yourself. Surround yourself with people who make you feel comfortable, and trash the bad company. Who you choose to surround yourself with can have a pretty significant impact on how you feel about yourself. “You may have heard the saying you are the sum average of the five people you hang out with the most,” Neo says. And if most of your friends and coworkers are toxic, it will begin to affect your self-esteem. That’s why, the sooner you can remove people like this from your life, the better. If you have low self esteem then remember that it takes time to build up so be patient with yourself. Call on the people that you know love and care for you to help you through the process if you need to.